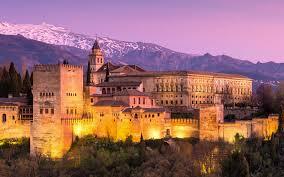 The continuing property market boom in Spain means prices continue to rise. This is encouraging people to look at newer areas such as AlmerÃ­a or they are looking inland for bargains away from the coast. Another alternative however is to look for an unconventional home and the cave homes, mainly of AndalucÃ­a are at last coming into their own. A cave home is where the whole of the living area is contained within the cave. A cave house, on the other hand, is where a sort of extension is tacked on to the front of the cave giving it a more conventional look. Until you step inside of course. Cave homes were the norm for our ancestors and the Altamira museum up in Cantabria gives a fascinating insight into how we lived in those days. The modern equivalent however is quite different and we are miles away from either a Flintstone existence or those cave paintings from history books. The average cave now comes with electricity, water and mains sewerage as standard. Thereâ€™s plenty of scope for funky bathrooms and kitchens as witnessed at this yearâ€™s Ideal Home Show when TV celeb designers Justin and Colin chose to decorate such a home as part of the Mediterranean village theme. 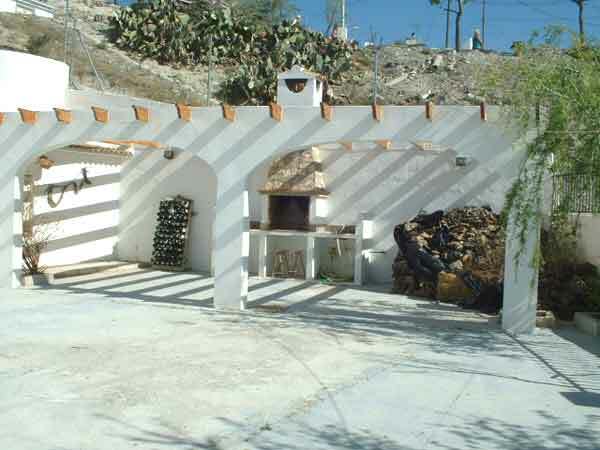 In these unusual dwellings, you are completely protected against the elements with an almost constant 18ÂºC temperature indoors, even though outside temperatures can be freezing or, as happens sometimes in AndalucÃ­a, over 40ÂºC. In effect, you are living in one big coolbox. But then again, a box it is not. The irregular features give them a charm that your off-plan apartment down on the coast will never have and, unlike many urbanisations popping up, no two properties will ever be exactly the same. Need to extend? No problem. Youâ€™ve got a whole mountain to get through before you get a back door. 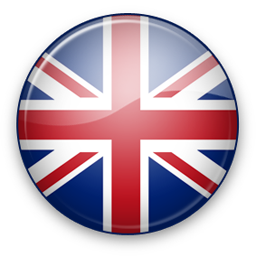 And the average excavation takes about six months, the time it would take just to find a builder in the UK. 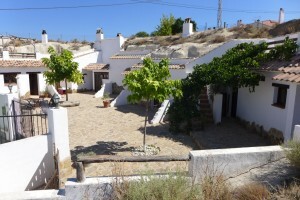 Is it more difficult to buy cave homes or cortijos than a new villa or apartment? Signing the Private Contract or Contracto Privado. This is a contract between the buyer and seller of a property, it is signed by both parties and witnessed. The signing of the Escritura de Compraventa. The Escritura de Compraventa is the official document recording the transfer of ownership. It is signed in front of the Notario. When the seller and buyer sign this document the ownership of the property passes to the buyer. Registration of the property in the Catastro when the Referencia Catastral, or Catastral number is issued (if the property did not have this number previously). 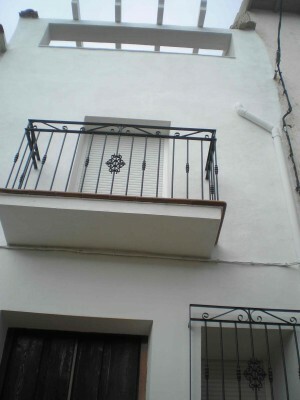 Registration of the property in the Registro de la Propieded. When this is done a new Escritura Publica and Nota Simple can be issued and the buying process is fully complete. 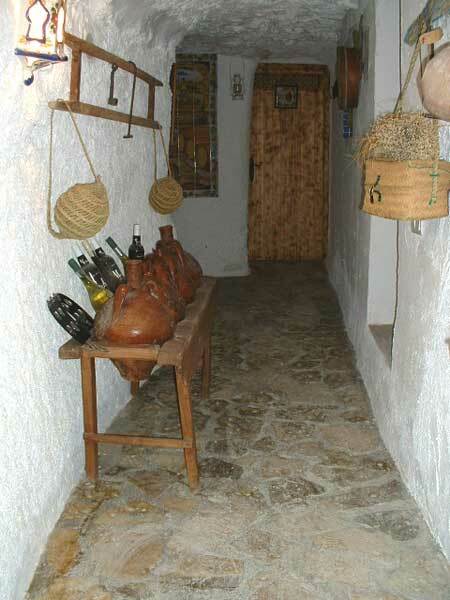 Often when buying a cave house, you will find that one or other of the documents mentioned above is not available. This does not, in itself, make the sale illegal but it has to be carried out by your legal advisor to ensure that you get the correct documentation on your purchase. The property may only have a private contract and because of this there is no Escritura, no record in the land registry and no Nota Simple. If there is nota Nota Simple how do you check if there are debts on the property? The answer is simple, if a property is not registered in the Land Registry (hence no Nota Simple) then it is not possible to raise a mortgage or set legally binding debts against the property. An unreformed or newly reformed cave may not have a Referencia Catastral. The Catastro is a relatively new office and the cave home may not have changed hands since its inception. Another reason is that the owner simply did not register the propery in the Catastro. In rare cases there may be none of the documentation mentioned above, only proof of payment of local taxes, water etc. by the owner. This leads us nicely onto the â€œHow to obtain a Title Deed (Escritura). The cave home I have fallen in love with has no title deeds. Can I still buy it? 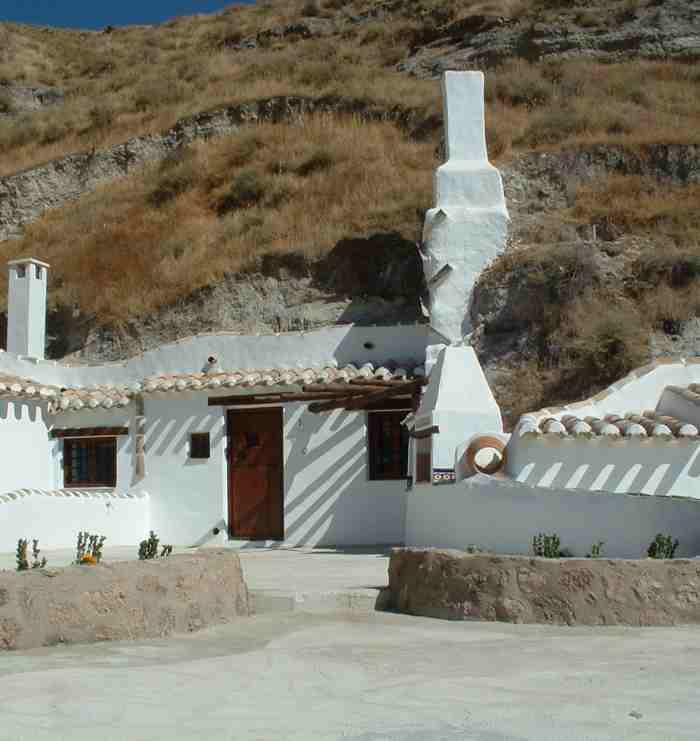 Some cave homes and cortijos (farm houses) may differ from conventional new builds as the many of them have been uninhabited for some period of time leading to issues with paperwork. You will find that most of these properties have been passed down from generation to generation or have been sold via a private contract between buyer and seller in order to avoid paying taxes, (not uncommon in Spain). In 1993 the Land Registry in Spain took any uninhabited caves off the registry in order to create more urban land for the construction of conventional housing. What you will find now that unless a cave was lived in during this period you will have to start all over again in order to obtain your escritura (property title deed). The best way of doing this is by contracting the services of an architect or draughtsperson to daw up a plan of situation of the property and to certify that it is a pre-existing building/cave and not recently constructed without the relevant permissions. Armed with this information the next step is to visit a notary in order to draw up the properties first escritura. This process should be relatively straightforward. It may well be the case that you have to get the plans that have been drawn up certified by the Architects College usually situated in the major cities. If you ask your architect or draughtsman they should do it on your behalf, obviously for a fee. I would recommend wherever possible obtaining 2 escrituras as the Land Registry requires this for registration of the property. 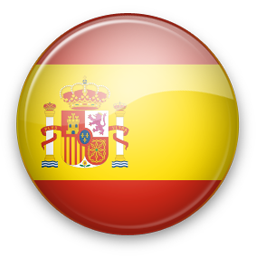 If you are buying the property from a Spaniard they should have no problem in signing an Escritura de Aportacion A La Sociedad Conyugal. This is a first ownership deed upon which they will not have to pay taxes and establishes the ownership and escritura value of the cave. 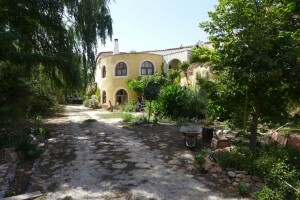 You would sign the second escritura to prove that you have purchased the property. You will be liable to pay a 7% transfer tax on this amount so I would advise getting this value as high as possible to avoid high capital gains tax in the future should you sell on. A cave house complex consisting of a main cave hous..."